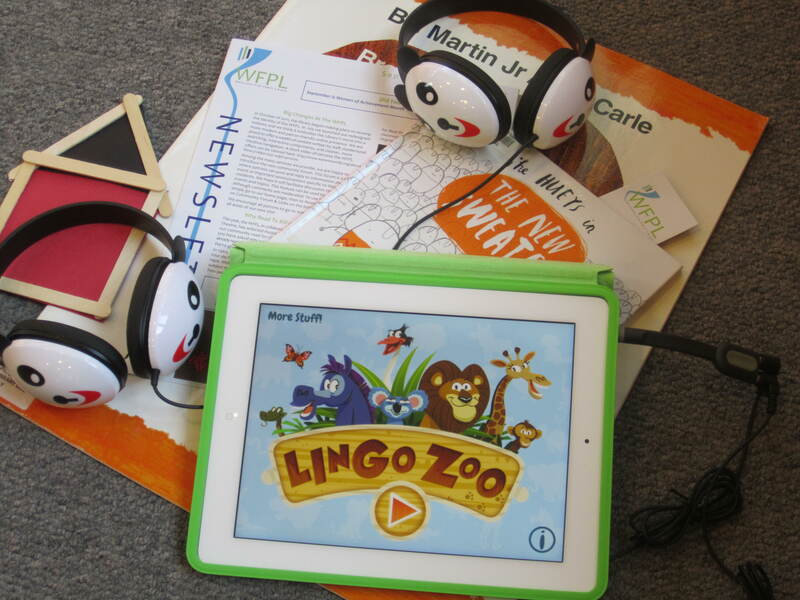 Watertown Library iLearn Preschool Digital Storytime Continues! The responses from the participants have been wonderful. People seem genuinely happy that we make these devices available, which is both good and bad. I’m really glad my patrons are happy with the program, but I also get the feeling that they are just folding their hands and biding their time while I lead action songs and read aloud from traditional paper books first. I want things to mesh together a little better. So I’ve been experimenting with connecting my iPad with a larger display- I asked my Tech Team to buy a VGA/HDMI converter and we have a pretty nice projector. I should be all set for the big screen next session, and I think it will be a big improvement. I’m hoping this will bridge the gap between the more traditional story time beginning, and the the touchscreen technology finish. I will let you know how it goes! Remember that you set the tone as the Leader of the Program. Smile! Be encouraging! Wind them up and get them excited but remember to tone it down before you hand out even MORE exciting things, like iPads. Be patient. I know that as Librarians we already know patience goes hand in hand when working with kids, but this requires a whole new set of patience skills, especially if the participants are unfamiliar with iPads, apps, and ebooks. There is a lot of hand raising and anxious “Emily!” call outs; both are great things, but not necessarily things that happen in regular preschool programming. Be Dorothy from the Wizard of Oz: you can always go home. The home button is your best friend. Even if your participants manage to get to a totally unrecognizable screen, you can always go home. And then you can probably pick up where you left off in the App of ebook. iPads are pretty resilient. So far I’ve watched kids drop iPads, I’ve seen toddlers walk on the screens, and I’ve witnessed somebody throw up on an iPad. And they are all still working! Buy a lot of alcohol based screen wipes. If you happen to think it’s a great idea to purchase The Three Little Pigs, you’re right! It’s great: I love the Nosy Crow version with the British accents! Kids will love the story and interactions and not even notice that they spit and blew snot all over the screen! Seriously, buy wipes. Posted on November 16, 2012, in Story Time and tagged WFPL. Bookmark the permalink. Leave a comment.